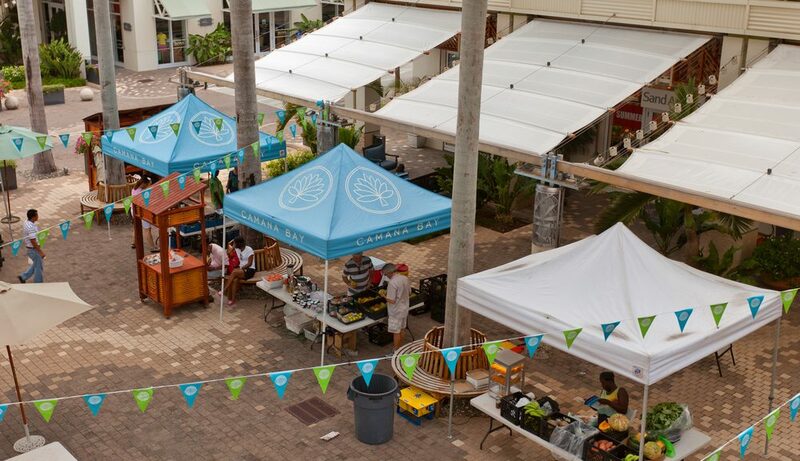 Stop by the Farmers & Artisans Market in Camana Bay every Wednesday and pick up fresh-picked produce, homemade artisanal foods, local handicrafts and more. This weekly farmers and artisans market is a showcase for delightful things grown and made on Grand Cayman. Each week, Camana Bay’s shopkeepers and restaurant owners join roughly 40 growers and specialty products purveyors. The offerings at this celebration of local culture and goods includes seasonal fruits and vegetables, gifts, gourmet foods, skincare, jewelry, flowers, teas and coffees, seasonings, jams and more. The Camana Bay Farmers & Artisans Market opens at 3 p.m. and features live entertainment throughout the course of the event. Musicians and artists come to provide their talents in real-time, demonstrating the creative spirit of the people of Grand Cayman. Enjoy watching crafters and artists show off their skills in weaving, conch blowing, rope making and more. Beautiful Camana Bay is the setting for our community’s weekly Farmers and Artisans Market. Camana Bay is a lively waterfront gathering place where children play in fountains, families linger on lawns and everyone relishes in leisurely island life. This master-planned community features 675 acres from sea to sound, with many spots to relax, explore and be inspired. Camana Bay is a mixed-use community that promotes walking, connecting and living sustainably in diversity. Visit Camana Bay and enjoy its thoughtful and beautiful design. This area on Grand Cayman is a favorite with residents and tourists alike, and it features many other events throughout the week along with annual events for major holidays. You can get to Camana Bay easily from the strip on Seven Mile Beach. Just follow the footpath signs set all along West Bay Road. They’ll guide you up onto The Rise, which is a pedestrian walkway, and over to The Paseo in Camana Bay’s Town Centre. It’s easy to get to Camana Bay by car from West Bay and George Town. One of Cayman’s older residential districts situated towards the west of Grand Cayman. With winding tree lined streets and a true island feel, West Bay offers a wide variety of properties ranging from small family homes to executive/luxury homes, condos and land. Some of these are to be found on or near the water and in the canal front area known as The Shores. A new bypass has reduced the drive into town to about 20 minutes during rush-hour but traffic can still be an issue at times. A number of excellent restaurants and dive sites are to be found in West Bay as well as the Turtle Farm and two dolphin attractions. The most sought after location on Grand Cayman featuring vacation rentals, and a mix of condos and villas that hug the length of this beautiful white sandy beach that have won so many accolades. Seven Mile Beach stretches from George Town to West Bay, faces west and is on the leeward side of Grand Cayman. The Ritz Carlton, Kimpton Seafire, Westin, Marriott and Margaritaville are nestled between private homes and condominiums along the stretch of beach. The mix of properties, in terms of size, design and year built gives buyers a range of choices and prices on Seven Mile Beach. For the avid golfer and water enthusiast there are a lot of activities in the Seven Mile Beach area. Across the main artery of Seven Mile Beach – West Bay Road – there are a number of side streets off the main road that feature lovely homes and condos, shopping and some of the best dining experiences in the Caribbean. Convenient grocery shopping, retail and lifestyle stores abound. Here you will find neighbourhoods, many with canal-front homes in Governor’s Harbour, Snug Harbour, Canal Point and Crystal Harbour. As many of these properties border on north sound this area of Grand Cayman is also a boater’s dream. Camana Bay, a lively and contemporary waterfront town, offers a wide variety of restaurants for fine dining or family style, an organic farmers’ market every Wednesday, retail stores, coffee shops, a cinema, bookshop and more. For the avid golfer and water enthusiast there are a lot of activities in the Seven Mile Beach area. George Town is the capital of the Cayman Islands and a great place to call home if you want to be close to town, grocery shopping, schools, Owen Roberts Airport, snorkeling, diving and a few classic island restaurants. George Town is also the business centre of the Islands and home to the financial district, port authority, the cruise ship terminals and duty free shopping. Heading East from George Town you will find the much loved and sought after South Sound. This area is more relaxed than Seven Mile with a lovely mix of condos and mid to large family homes. As South Sound hugs the water you will also find luxurious and stunning beachfront villas. South Sound is probably the second most sought after area on Grand Cayman to live after Seven Mile Beach. The rugby, tennis and squash clubs are here complimented by shopping and a community on the north sound, Grand Harbour that provides canal front living on the north sound and could also be considered a part of Prospect. A island feel mix of inland and canal front properties in a fast-growing area of Grand Cayman. Stunning homes with private docks are being developed behind the Grand Harbour shopping complex which provides convenient shopping. Old Prospect Road is a quiet community of beachfront luxury homes. Notable areas in Prospect also include Admiral’s Landing and Patrick’s Island. Between Spotts and Bodden Town you will find the large residential area of Savannah and Lower Valley. Here North Sound Estates affords canal front living. This general area is reasonably priced and appeals to young families and those looking for an affordable new-build option. Ocean side you will find stunning homes perched on the iron shore overlooking the dramatic south facing views. Savannah is home to Pedro’s Castle, Countryside Shopping Village and the Agricultural Grounds. 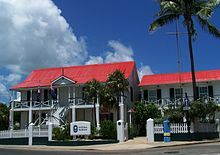 Bodden Town was Grand Cayman’s first settlement and capital and is therefore rich in history. It has preserved a quaint island ambience and affords a delightful mix of island style homes and newer builds at reasonable prices. Fantastic local food, great beaches and a significant amount of land parcels are available in and around Bodden Town. Frank Sound Road cuts across Grand Cayman from Frank Sound in the south to Old Man Bay on the north side. It’s in Frank Sound road that you will find the Queen Elizabeth Botanical Park with the Blue Iguana sanctuary. Further to the east is the sleepy town of East End. Superb diving, fantastic views and equally fantastic cuisine make the backdrop to this classic island town. It is here that you will find, Health City, a state of the art hospital catering to medical tourism. East End has a significant amount of beachfront and inland parcels up for grabs as well as a beautiful collection of beachfront/vacation style homes. An area of still mainly undiscovered land just half an hour away from the bustle of George Town, but miles away in terms of peace and quiet. The coast line is circled by The Queen’s Highway, stretching from East End to the south and up to Colliers in the north then round to the district of North Side. Secluded beaches, a selection of vacation style and luxury homes hug this coast line. This area is ideal for tranquil vacation homes or rentals in an authentic Caribbean setting. Northside is a quaint and sleepy village with truly beautiful ocean views. Mostly ocean front and facing the cool northerly breezes, Cayman’s Northside stretches along the top of Grand Cayman from East End to Rum Point. It’s very quiet and peaceful with true island tranquility. Northside is a great place to invest in your island beach house. Properties are often rented when not in use by their owners. It takes about 40 minutes to get to George Town but if you lived in Northside you would probably would not want to leave home! This is the chilled-out but luxurious part of Grand Cayman. It is the place to relax in your vacation home and there are several, especially at nearby Cayman Kai. Property and land prices tend to be higher here. Located right on the northern tip of the Island, it is the place where tourists and locals head to relax with a mudslide in hand at Rum Point Club, drink mudslide cocktails and to swim with the kids in the shallow azure waters. Rum Point and Cayman Kai has a real holiday feel and options of overlooking quiet bays and the much loved bio-bay. Take Frank Sound Road from Frank Sound in the south to North Side and you will traverse the width of Grand Cayman. The parcels of lands here are just waiting to be developed. Traditionally a quiet, peaceful rural section of the island, Midland is home to a wide variety of flora and fauna and is the location for The Queen Elizabeth Botanical Park and The Mastic Trail, both famed for their rich diversity of plants and wildlife. Cayman Brac is the biggest of Grand Cayman’s sister islands and is the only one of the three islands to have a bluff or cliff which rises from the ocean to about 140 feet. This elevation makes bluff land a constant best seller on the Brac. An added bonus is that Cayman Brac also still enjoys duty free building materials. Cayman Brac offers superb diving, wreck diving, caving and birding and is a wonderful Caribbean Island. Little Cayman, the smallest of the three islands with around 200 residents is a quiet island where vacationers can scuba dive, bird watch or simply unwind in a hammock. Most of the island’s hotels are on the south side of Little Cayman. The south side is protected by a reef and has boat access for divers. Owen Island is just off shore and is a great place to kayak or paddle too. Bloody Bay reef is a world famous dive destination with an incredible sea wall that drops down thousands of feet just off shore. There is a good supply of raw land available for sale plus inexpensive cottages, stunning and secluded island home and upscale condos. Many home owners are vacationers who come to visit for a few weeks of the year and then rent out their homes to vacationers the remainder of the year. The Cayman Islands remained largely uninhabited until the 17th century. While there is no archaeological evidence for an indigenous people on the islands, a variety of settlers from various backgrounds made their home on the islands, including pirates, shipwrecked sailors, and deserters from Oliver Cromwell’s army in Jamaica. The first recorded permanent inhabitant of the Cayman Islands, Isaac Bodden, was born on Grand Cayman around 1661. He was the grandson of the original settler named Bodden who was probably one of Oliver Cromwell’s soldiers at the taking of Jamaica in 1655. England took formal control of the Cayman Islands, along with Jamaica, as a result of the Treaty of Madrid of 1670. Following several unsuccessful attempts at settlement, a permanent English-speaking population in the islands dates from the 1730s. With settlement, after the first royal land grant by the Governor of Jamaica in 1734, came the perceived need for slaves. Many were brought to the islands from Africa; this is evident today with the majority of native Caymanians being of African and English descent. The results of the first census taken in the islands in 1802 showed the population on Grand Cayman to be 933 with 545 of those inhabitants being enslaved. Slavery was abolished in the Cayman Islands in 1833. At the time of abolition, there were over 950 Blacks of African ancestry enslaved by 116 white families of English ancestry. The islands continued to be governed as part of the Colony of Jamaica until 1962, when they became a separate Crown colony while Jamaica became an independent Commonwealth realm. The Heroes Square in the centre of George Town, which commemorates Cayman Islands’ war dead. The Legislative Assembly building is at the left. On 8 February 1794, the Caymanians rescued the crews of a group of ten merchant ships, including HMS Convert, an incident that has since become known as the Wreck of the Ten Sail. The ships had struck a reef and run aground during rough seas. Legend has it that King George III rewarded the island with a promise never to introduce taxes as compensation for their generosity, as one of the ships carried a member of the King’s own family. While this remains a popular legend, the story is not true. The Cayman Islands historically has been a tax-exempt destination. The government of the Cayman Islands has always relied on indirect and not direct taxes. The territory has never levied income tax, capital gains tax, or any wealth tax, making them a popular tax haven.